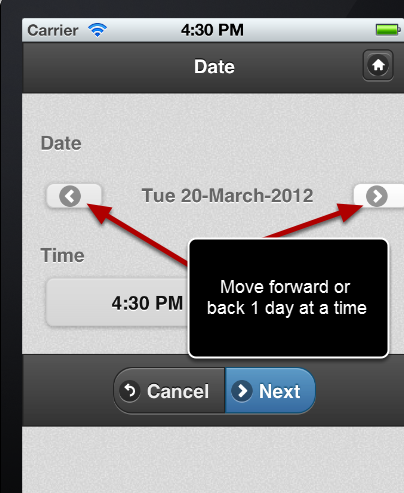 Previously, to navigate through dates on the iPad/iPhone application you needed to use the day forward or day back buttons. 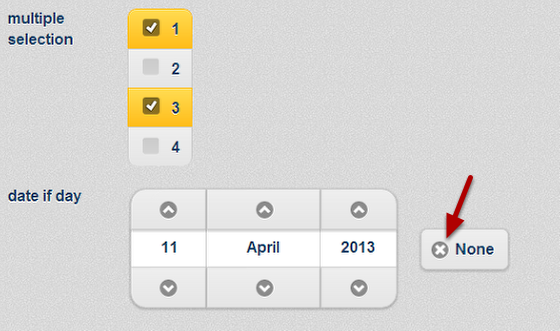 Using only the forward and back arrows was very time consuming to navigate to dates more than one week old . This has been updated. 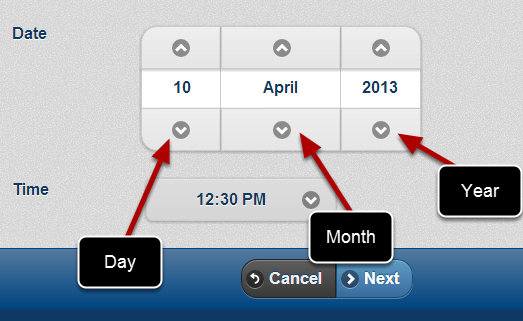 Select the up and down arrows for the Day, Month or Year to quickly get to the correct date that you require. The up arrow has been selected once for the day, month and year. This means the date will increase by 1 day, 1 month and 1 year; from the 10th April 2013 to the 11th May 2014. The down arrow has been selected once for the day, month and year. 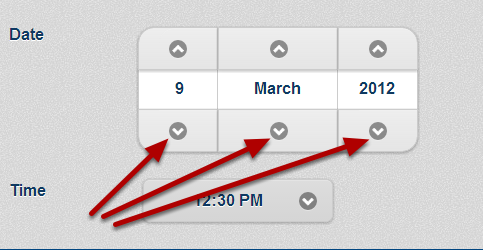 This means the date will decrease by 1 day, 1 month and 1 year; from the 10th April 2013 to the 9th March 2012. 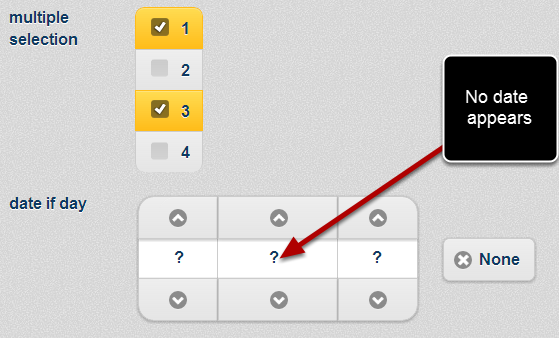 On the main application if the date field had no date selected it appears blank (as shown here).